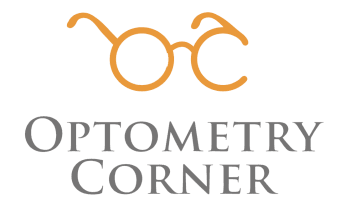 In March 2016, Dr. Lui started Optometry Corner with the mission to provide the best vision and eye care services, combined with the highest quality frames and lenses, to the community of Orange County. Dr. Lui purchased the practice from Drs. Farson and Gilbert, former classmates who have been in practice together since graduating from Illinois College of Optometry in 1980. Dr. Gilbert continues to provide exceptional vision care to his loyal patients at Optometry Corner. Dr. Hawkin Lui received his Doctor of Optometry degree from UC Berkeley School of Optometry where he was a member of the Beta Sigma Kappa Honor Society and President of the Private Practice Club. He holds a Bachelor of Science degree from UCLA and studied at Hong Kong University of Science and Technology. Dr. Lui completed primary care and ocular disease rotations at U.S. Department of Veterans Affairs hospitals in Fresno, CA and Tacoma, WA and is certified to diagnose and treat glaucoma. Prior to practice ownership, Dr. Lui worked in a medical optometry practice in Central California providing eye care to patients with glaucoma, diabetic retinopathy, age-related macular degeneration, and other eye diseases. While in optometry school, he traveled to Vietnam to provide eye exams and glasses to impoverished children through the international organization Volunteer Optometric Services to Humanity. He enjoys traveling, hiking, basketball, and spending time with friends and family.